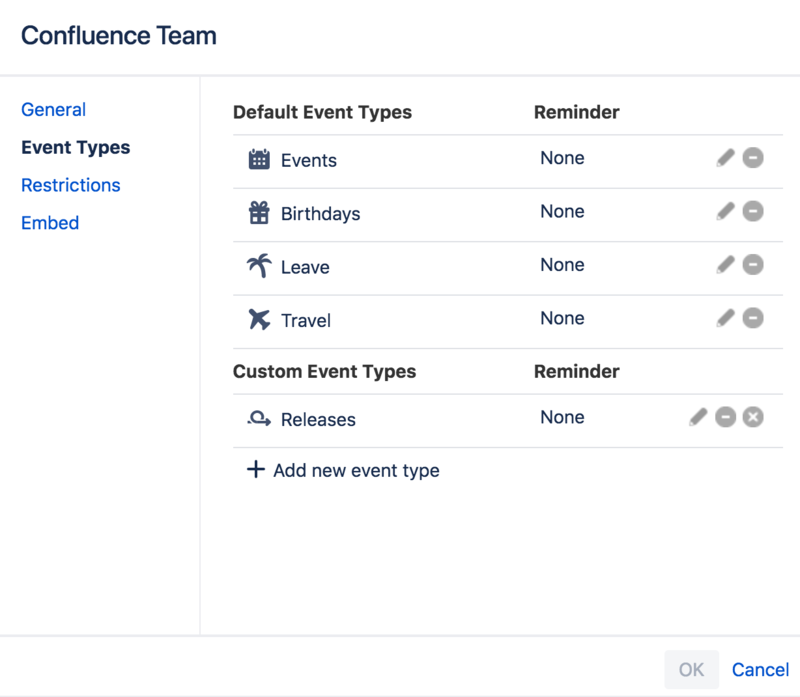 Event types allow you to categorize your events, making them easier to view and manage; custom event types take this a step further by giving you complete freedom to track any kind of event you can think of – so if you need to create events for training, email campaigns, outages, or anything else, Team Calendars is up to it. Enter the Event Name, select an Event Icon, then choose Save. That's it! Your new event type won't appear in the sidebar immediately, but it'll show up as soon as you add an event of that type. 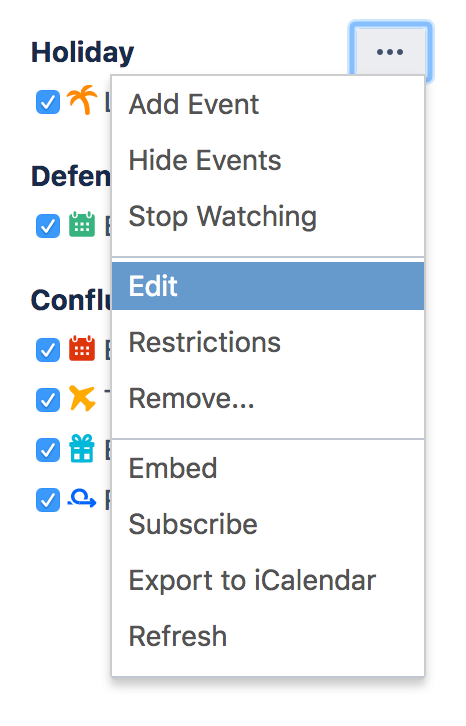 You'll need editing privileges for the calendar to add custom event types. To quickly add a new custom event type, choose Add Event, then choose Add new event type from the Event Type menu. If you no longer need a custom event type, you can delete it by choosing Edit > Event Types, then choose the icon to the right of the event type. Deleting a custom event type will delete all events within that event type, so, if there are any events you want to keep, make sure you move them to another event type before deleting.